There is one skill that is the most important one to teach our children. To call it one skill, however, is a little misleading. It’s really a set of skills– a whole host of skills. At the center of those skills is the ability to control something– a behavior, a thought, movement, or a feeling. Generally, this is called self-regulation. But I am also talking about executive function (control in the brain), emotion-regulation (control of feelings) as well as behavioral regulation (control of actions & movement). All of these together make up a set of abilities called self-regulation skills. Most of you have probably heard about the marshmallow test in which a researcher asks a young child (usually between ages 3 and 5) if they would like one or two marshmallows. The marshmallows are placed in front of them and the researcher leaves the room. Before the researcher leaves the child is presented with a choice: “You can eat one marshmallow now or wait until I come back and then you can have both of the marshmallows. This is technically called ‘delay of gratification’ or the ability to suppress an impulse (eat that lovely marshmallow) in order to meet another goal– listen to the authority figure of the researcher and wait. Delay of gratification is only one self-regulation skill, albeit the most well-known one, and it has been linked to many outcomes– children who wait longer are more sociable, have better grades, and even better SAT scores years later. There are also brain differences between the children who were better at delaying and those who were not as good at waiting. 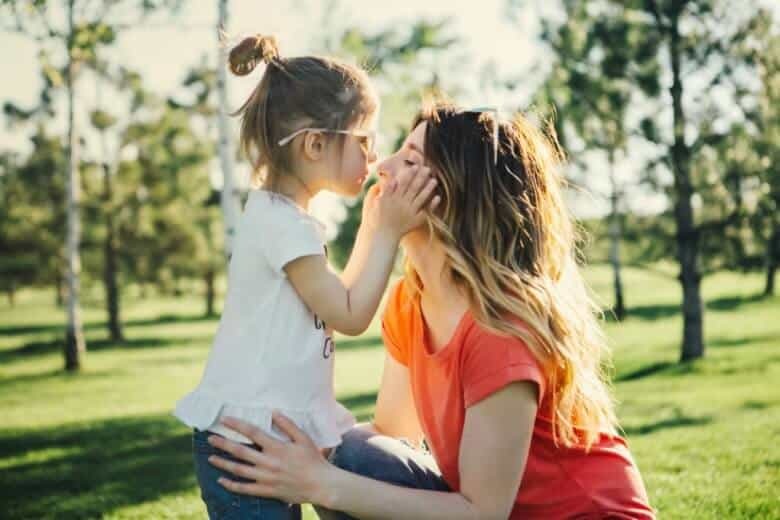 Self-regulation is partially genetic– some children will naturally be better regulated than others, however, self-regulation is very teachable as well. If you think about it, controlling impulses underlies all of the social and cognitive skills children are learning — and that is why I think it is the most important skill. We all want our children to have good friends, to be able to learn, to be good at solving problems, to enjoy life, and to savor the good moments. Self-regulation underlies all of these things. 1. Help your child recognize the higher-goal. Controlling an impulse in order to meet a higher goal. Why don’t we grab toys away from our friend? Because we want to get along with our friends. Why don’t we yell while the librarian is reading the story? Because we want to hear the story. 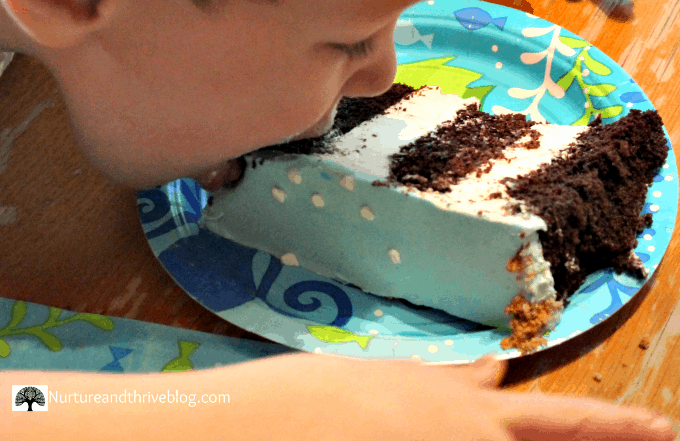 Why don’t we eat the birthday cake on the table? Because it’s our friend’s cake and we don’t want her to be disappointed when it’s time to blow out the candles. The higher goal is usually about empathy, social relationships, or learning (being productive). The first step is helping children recognize the higher-goal of the situation and providing the time and space for their impulses too — it’s not that all impulses are bad, its that they have to be regulated to the right time and place. 2. 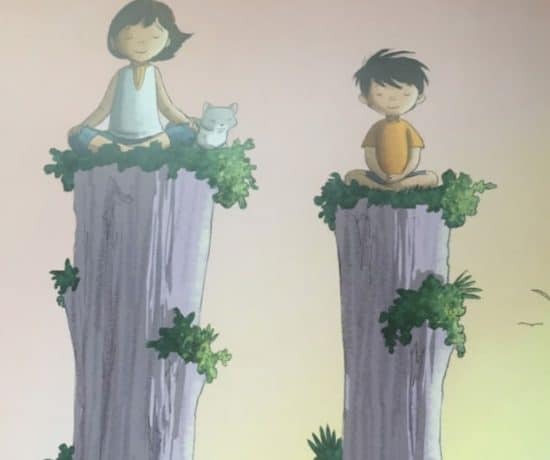 Use naturally occurring situations to teach self-regulation strategies. 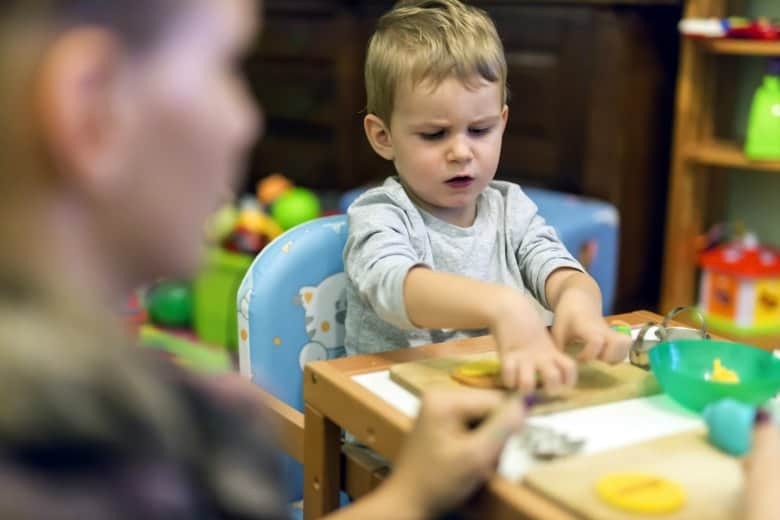 Things like waiting to open holiday presents, taking turns with a prized toy, and being quiet while a story is read aloud at the library are all example of natural situations which are teachable moments for self-regulation skills. These situations are truly challenging for younger children. Before the event or situation, explain the expectations and the higher-goal. Then, in the moment, help them be able to meet that goal. Give them the strategies to regulate their impulses. 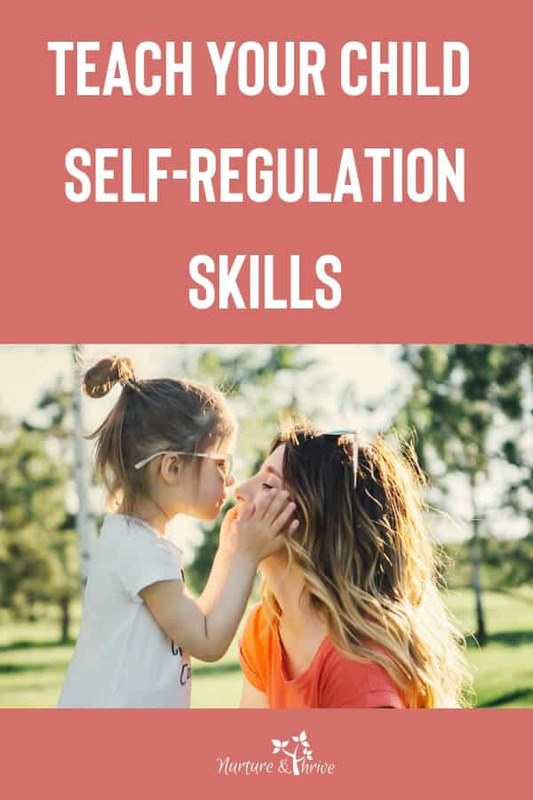 Studies about self-regulation have shown is that it isn’t about the child having the sheer willpower to control impulses, but instead having lots of strategies to help them regulate those impulses. If your child is having a hard time taking turns, you can try setting a timer. That provides them with a more concrete cue to help them regulate. Also, using the term “taking turns,” is much more concrete than “sharing.” Having some games that kids can do together can help too. If your child needs to wait, do something else with them, sing a song, tell a story. If your child is waiting for a special treat, or even just at a restaurant, do something else with them — like sing a song, tell a story, play I spy. By scaffolding these skills you are helping them build regulation strategies they will use their whole life. 3. Acknowledge the challenge of regulation. This is hard for kids. If they struggle, acknowledge it. If they get frustrated, acknowledge it. I acknowledge that it is hard, I also acknowledge his desire (impulse), and offer a strategy to help him regulate. 4. Have your child make a choice and a plan. Cognitively, a well-regulated older child would be able to look through a set of options and make a reasoned decision. Or, faced with a wide array of possibilities, that child could make a plan. Our goal is for our children to develop well-regulated thought processes. To be able to sort through the chaos, so to speak, and inhibit distractions. How do we foster this when they are young? Give your child choices throughout the day. Do you want to walk to the playground or play in the backyard? Will you have milk or water? Which pair of tennis shoes will you wear today? Providing your child with plenty of opportunities for making choices gives them the practice they need to develop decision-making skills and gives them a sense of mastery over their own life. At younger ages remember to give a choice between two options and as they grow, increase the options. Give your child the opportunity to make a plan. This morning we are staying at home and we can do any of these things- what would you like to do first, second and third? My Aunt took her preteen and teenage sons to New York City once for vacation and each son got a day to plan. They planned the activities, the transportation to those activities, and the schedule of the day. I think this is a great activity for older kids. You can do similar things with younger children as well. Look at a map for a local museum and have your child help plan which exhibits you’ll visit. Or have your child plan an activity at home. One of my son’s favorite activities is to write out manuals for his “inventions” or for activities. These kinds of things are great exercises for cognitive regulation. People often ask me — but how do I teach my child self-regulation. This isn’t something you can tell your child how to do. It is something they have to learn by doing and by practicing. So, when you aren’t in one of those naturally occurring situations, the best thing to do to help children practice self-regulation skills is to play games. Games present all kinds of challenges that are important for self-regulation. The basic definition of a game is to control impulses to meet a higher-goal (win the game!). AND it’s fun! It doesn’t feel like you are practicing self-regulation. Any game that asks kids to control something is fostering self-regulation. Like a whispering game, slow down speed up, the freeze game/dance, Head, Shoulders, Knees and Toes, Simon Says, Red Light Green Light, and similar. Playing board games or card games is another way that allows children a chance to practice things like taking turns, remembering rules, paying attention, shifting from one focus to another, and inhibiting impulses. 6. Remember self-regulation skills develop over a lifetime. Helping your child develop these skills will stay with them their whole life. It also feels like it takes a lifetime for them to learn it. That’s because it kind of does! You’re still developing executive function and so am I. In fact, I think becoming a parent is a great catalyst for developing greater self-regulation! I write all about that here. The organization of the brain system that underlies self-regulation occurs around the age of three. Rapid development occurs in the system until the age of five. The system matures between the ages of 5 to 7, with girls being a little ahead of boys. Development continues at a slower pace until puberty when a second brain growth spurt means a whole new level of regulation skills will need to be organized and learned in adolescence. Development in the self-regulation of the brain is thought to be complete sometime in your mid-30s. However, I believe that things like becoming a parent or other challenges spur growth in self-regulation — perhaps not at the brain level, but growth nevertheless. All those teachable moments will add up over the years. There may be times when you feel like you don’t see any progress — it develops slowly and gradually. It is one of those things where you’ll see effects much later. 7. Realize it is Just as Important to let go of control. “The human goal is to be as undercontrolled as possible and overcontrolled as necessary”– Block & Kremen (1996). As parents, we spend ALOT of time trying to teach our children to control impulses. It is easy to forget that it is just as important to let them be “undercontrolled” for lack of a better term. I loved it when I would return to the room as a researcher in those delay of gratification studies and the kids would stuff both marshmallows in their mouth as happy as could be, no restraint at all. They waited until I came back and then they reveled in the fact of being able to enjoy those marshmallows. At a young age, they had learned how to really savor, enjoy, and let go. In other cases, kids would seemingly do a good job waiting, but when I came back in the room they were overcontrolled and anxious. Those kids could hardly enjoy the marshmallow. So, it isn’t just about waiting or controlling, it’s about being flexible in that control. Ultimately, we want our children to have the ability to control impulses when needed and to be able to let loose when they can. If you notice your kids being pretty controlled and tending towards anxiety make it your mission to help them learn that sometimes it is okay to let loose. Teaching your children when to let go of control is equally important as teaching them when to be in control. One of my favorite family traditions is that on your birthday you wake up to everyone in the family singing, a present, and a piece of cake. Why, on your birthday, should you have to wait all day!? Yes, I agree that this one skill will do wonders for anyone in their life. It is also important for kids to have if they are able to learn any new skill. As the mom to a kid (or more) who can get dysregulated multiple times a day, I see a vast difference between the times of control and those times where they can’t seem to be in control. Only when they are in control (of themselves) can anything be taught or progress made. Thanks for the ideas of how to work to increase this important skill. In your comment were you talking about children who do wait? I think you were. I’m reading this quote out of context, so I’m not sure what is meant by the “no’s” but overall it sounds a little authoritarian doesn’t it? I think that many things factor into whether children can wait or not– age, temperament, and of course parents. I do agree that trust comes into it— that they believe they will be able to have two marshmallows when all is said and done. That sense of trust in the world comes from relationships with parents. But, I think it has less to do with the parent’s authority and more to do with overall trust and warmth. I think that helping children with impulse control in general is key– like the findings that show that parents who help their children distract themselves do better on delay tasks. And there are several studies showing thats sensitivity or warmth predict better regulation. So I would say it is more about warmth and responsiveness than it is about authority, per se. What do you think? Ashley, great post. I agree fully that teaching children to self-regulate is really important. One thing that I am running into recently is teenagers that have been raised in such a way that they have an “entitled” attitude, and this seems to be connected to difficulty with self-regulation as well. What do you think? Do you know of any research related? I would be interested in reading. Glad I found you today! Can’t wait to read more. Thanks Elizabeth, I’m glad you found me! I taught college — I know what you mean. Certainly not true of all students, but that sense of entitlement is an issue. Generation “me” brought up when there was a big cultural focus on self-esteem, everyone got a trophy, children were overpraised, and the rise of social media. All of this has created a new generation and like clashes between generations before — one generation doesn’t get the other. This has created a real challenge in the education world and employment world. I thought this article was interesting: http://onlinelibrary.wiley.com/doi/10.1111/j.1365-2923.2009.03310.x/full and this book written by researchers looks good: http://www.amazon.com/The-Narcissism-Epidemic-Living-Entitlement/dp/1416575995. I do think it is related to self-regulation– but more so self-efficacy. It is important for kids to understand that they can effect change– if they work at it. Generation me (and I am generalizing) feels like they shouldn’t have to work for it unless it is entertaining, engaging, and boosts their self-worth. I will write a post on self-efficacy soon, I’ve been thinking about it! Thank you for the feedback! Honestly, writing these posts helps me too. Something about writing it down reinforces it for me and even gives me new ideas of concrete examples! This is fantastic advice thank you! I hadn’t heard of the marshmallow test. I’ll have to try it with my daughter. She definitely struggles with self regulation right now. An excellent post! Executive function and other aspects of self-regulation are practically the key to both academic and personal achievements. However, I have to stress that in order to promote these skills in your child, you need to make sure they get plenty of physical exercise first, to properly develop their brains and prepare them for such complicated tasks as the ones you have listed. If you let your child go days without a decent, at least a few hours long, physical activity, then all these crucial skills you want him to learn will be incredibly difficult to master. Therefore, if you want to teach your kid the most important skill out there, start by providing a lot of opportunity for physical exercise. Thank you! I agree with you that being outside and getting natural exercise is important for children’s development. In fact, it is one of the main things I discuss in my post on brain development: https://nurtureandthriveblog.com/nuture-your-childs-brain/. 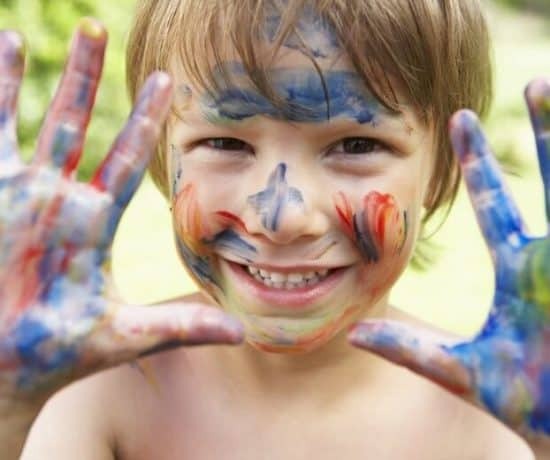 As far as playing outside being good for developing regulation in particular, I would say I agree in general that healthy play outdoors helps children to expend energy and balance their emotions. But, simply playing outside is not enough to learn self-regulation. There are several everyday situations in which parents can help children learn self-regulation. I don’t see one as ‘first’ in this scenario. Yes, it is good to play outside. Yes, it is good to help children manage impulses and emotions. But I also don’t see playing outside as a ‘skill’ Rather I see it as a natural environment for a child. My point exactly. Exercise, be it at home or outdoors, is certainly not enough for learning how to regulate behaviour, feelings or movement, but it is a conditio sine qua non before any other intervention might take place. Can you teach a kid with a weak vestibular system not to fidget? You can try, but I’d bet learning any skill, soft or otherwise, will prove much easier for a child who had ample opportunity to exercise and develop properly. I found one of your other posts on pinterest and am reading post after post. I have a 3.5 yr old and a 1 yr old. The 3 yr old has me at a complete loss. I hope that practicing some of your strategies gets us to better days soon. Really I’m just commenting to ask, can you come live with us until both boys are school age? That would be great! Stressed out, tired mom, who wants to be more than a referee. Oh my goodness I hear you!!! 3 is a hard age — the psychologist in me loves this age — the budding independence, the immature emotions, and the lack of being able to take another’s perspective are fascinating developmentally. The mother in me has a slightly different reaction, one that involves pulling my hair out! Literally, you are dealing with a little human who has a lot of self-will, but very little in terms of social skills! One thing that helps me with my son is being playful, I get way more cooperation that way. Instead of saying put on your shoes, I say “hmmm where are the bunny shoes? You know the ones that make you hop like a bunny all the way to the car? Do you have bunny shoes?” Hope some of my tips help smooth some of your days!! !